This is a remarkable desk, in old surface, whose cherry has turned toward the brown family, which is the result of many years of oxidization. The brasses are original. 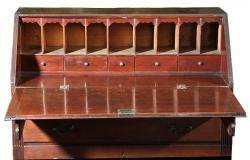 This desk has the remarkable feature of stop-fluting at the ends flanking the drawers, which is rarely seen. 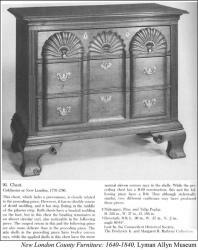 A chest which is illustrated in New London County Furniture: 1640-1840, Lyman Allen Museum exhibit #91, shows an identical treatment. 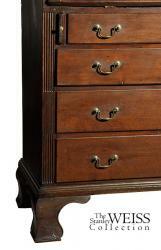 That chest is a three-drawer blockfront with Newport style shells (see scan below). 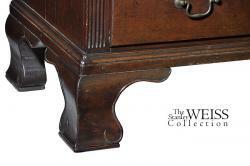 Also, while not identical, the same carved treatment on the bracket feet similarly appears, see detail. There are a number of structural points of interest, i.e. the feet are carved out of phenomenally thick stock, and all of the construction is neatly intact. 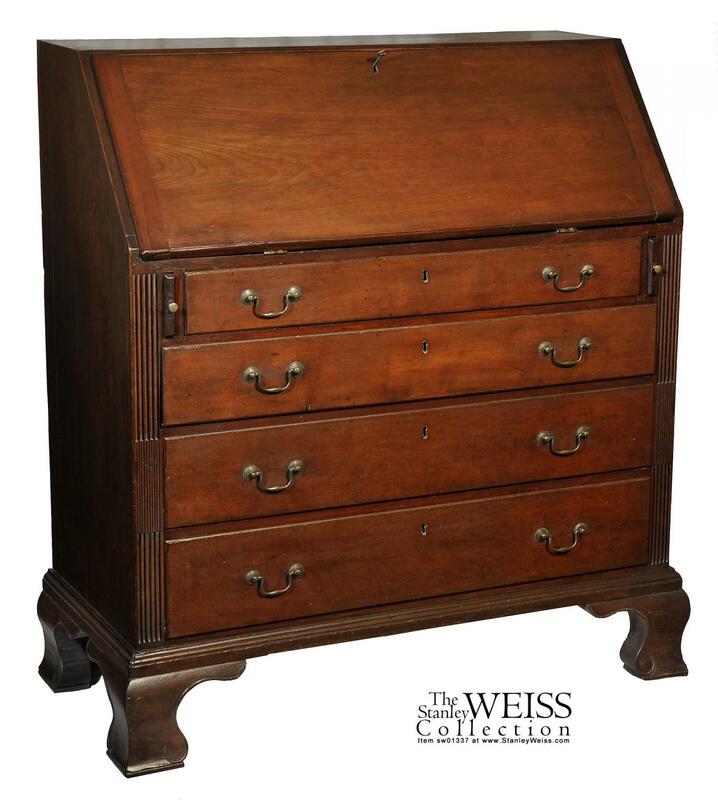 This desk was obviously not meant to be opened and, typical of many Connecticut desks, has a relatively simple, functional row of pigeonholes; however, this high style country desk was obviously produced by a highly competent shop and makes a strong Connecticut statement of origin and style. Height: 44 1/2 in. Width: 40 in. Depth: 17 1/4 in.